The best way to keep your vehicle running for longer is to stay on top of routine maintenance and necessary repairs. Unfortunately, finding a mechanic you can trust to do quality work for competitive prices in a reasonable amount of time can be a real challenge. That’s why more drivers rely on the service centre at Capital Ford Winnipeg. Our advanced facility and team of trained and experienced technicians are fully equipped to handle any issue, big or small. We also go the extra mile to guarantee that getting important work done is quick, convenient, easy, and affordable. Stop taking your car, truck, or crossover to someplace you don’t fully trust. Get to know the team at Capital Ford Winnipeg, where both you and your vehicle are in good hands. Don’t work with just any dealership. Work with a dealership that can offer you more. At Capital Ford Winnipeg, we make deals that other dealerships won’t. In addition to our competitive prices, we have a huge selection of new Ford vehicles and an even larger inventory of pre-owned vehicles. No matter what you’re looking for—whether it’s a sporty sedan, a powerful pickup, or a functional family option—you can count on finding it on our lot. And since our sales staff works on a fixed commission, you know they’re on your side. Connecting drivers with the right vehicle at the best price is not our only specialty. We have also streamlined and simplified the financing process to make buying a new or used car easier. Expect to get approved for a better loan faster, even if you have less than perfect credit. Our financing professionals work hard to approve all of our customers. We also operate a state-of-the-art service centre, and have one of the largest inventories of official Ford parts and accessories you can find in the area. 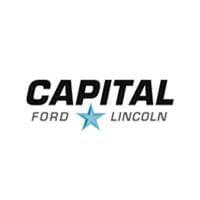 Capital Ford Lincoln is conveniently close to Brandon, Portage la Prairie, Dauphin, and Steinbach. After you work with us the first time, you’ll discover that everything you want is at our dealership, too. When you’re looking for something above average, seek us out first. We are open Monday through Saturday and available to answer questions at any time.